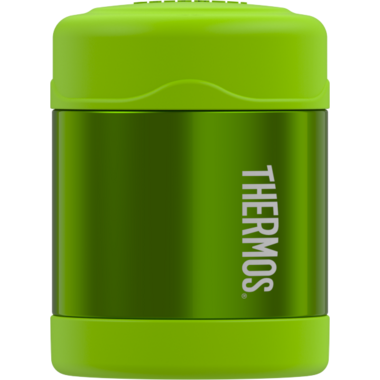 Keep your meal cold for 10 hours or hot for 5 hours in this Thermos Stainless Steel Vacuum Insulated Food Jar. Keeps COLD 10 hours. Keeps HOT 5 hours. Perfect for my JK kiddo! He loves the fun colour and keeps his Mac and cheese warm until lunch! Perfect for the price! We use these for hot (soup, rice and curry) and cold (pasta salad, smoothies) lunches, and they work great! For hot lunches I boil water and pour it in the thermos for awhile to heat it up before the hot food. For cold, I leave it in the freezer with no lid for the night before. It doesn't insulate for 5 hours as it says at all! So disappointed. Wasted money.